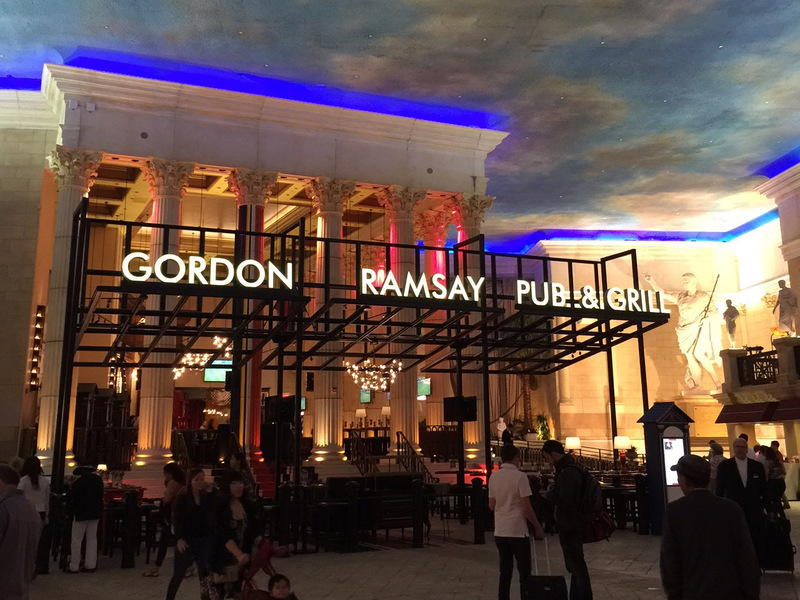 A few months back, we told you about the opening of Gordon Ramsay Pub & Grill at Caesars Atlantic City, and we couldn’t wait to make another trip to Atlantic City so that we could try out some of Gordon Ramsay’s famous dishes for ourselves. That day finally came last weekend, and it was definitely worth the wait! 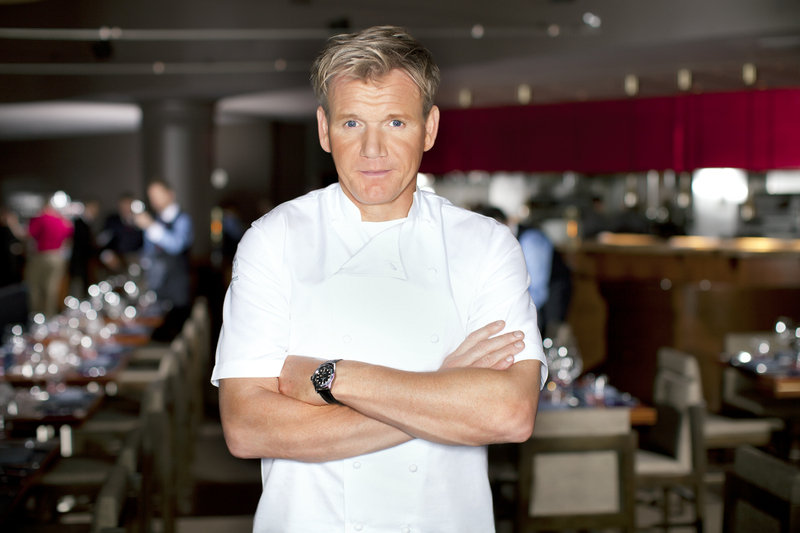 As you would expect given the name of the restaurant, Gordon Ramsay Pub & Grill features items consistent with British pub fare. 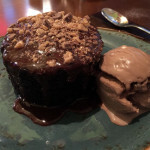 You’ll find classic British favorites such as bangers and mash and Yorkshire rib roast, as well as some of Ramsay’s favorites like beef wellington and wood-grilled lobster tail prepared on an oak-fired grill. 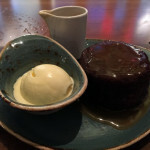 Paying homage to a true English pub, Chef Ramsay made sure a steak & ale pie, sticky toffee pudding and of course, the ale-battered fish & chips were included on his menu. 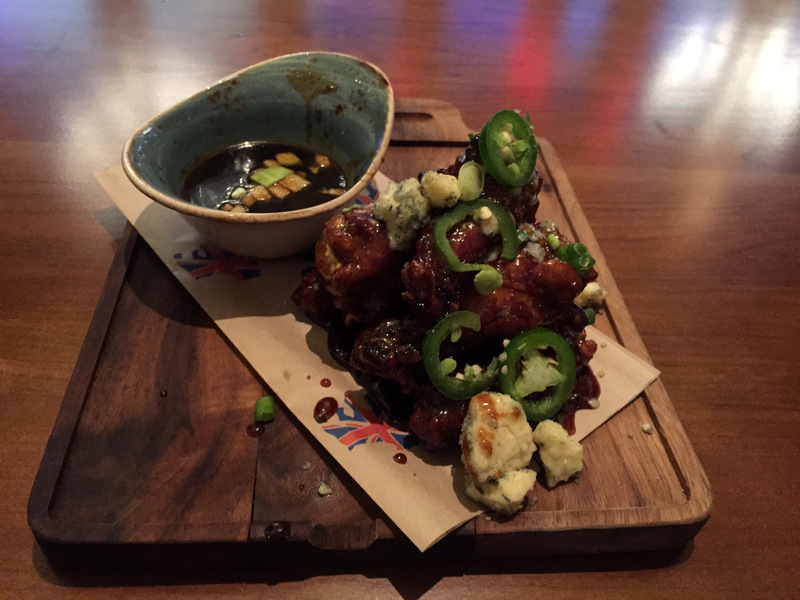 We started off with an order of Molasses and Brown Ale Glazed Wings, which is served with jalapenos and crumbled stilton blue cheese. There were countless people on Yelp raving about how good these wings were, so I had to see what all the fuss was about. 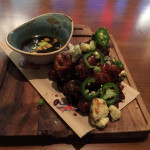 Honestly, these were some of the best wings I’ve ever had, with amazing flavor and just a touch of heat from the jalapenos. They’re incredibly messy, but oh so worth it. In an attempt to add something healthy to the meal, we got salads next. 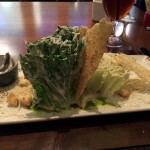 I got the GR Wedge, while my wife got the Pub Caesar. 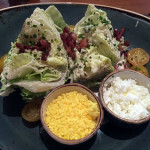 Despite their elaborate presentations, they were pretty standard salads, and nothing to write home about. 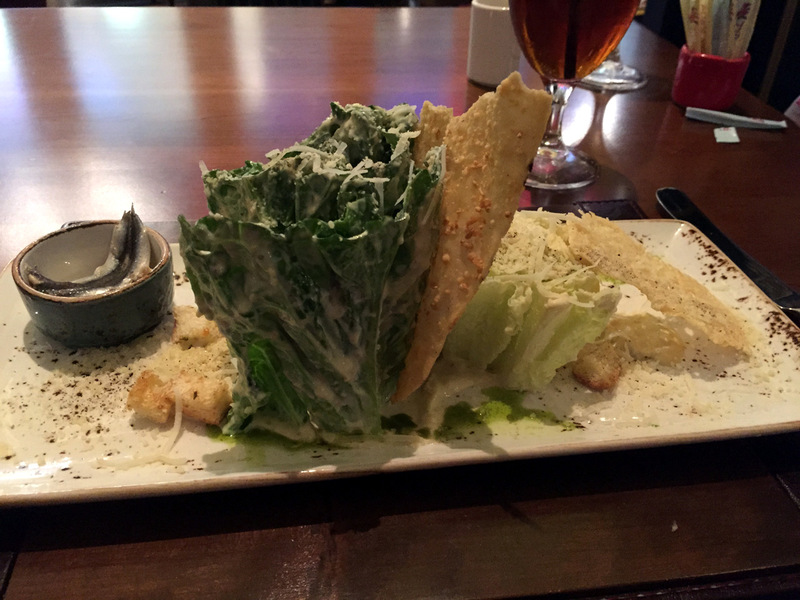 Next time I’ll probably skip the salad so I have more room for something else. Next up was the main course. As a long-time Hell’s Kitchen fan, I had no choice but to get Gordon Ramsay’s signature Beef Wellington. 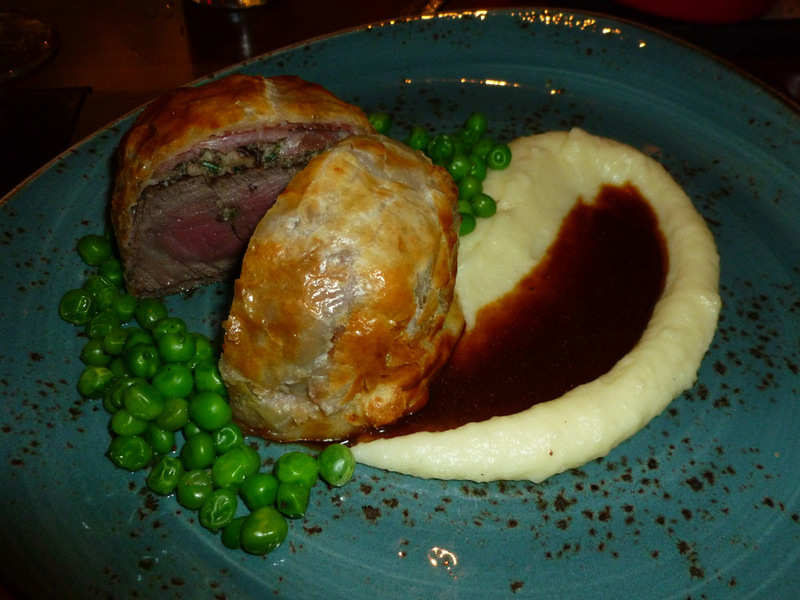 For those who have never experienced a beef wellington before, it’s a filet mignon wrapped in phyllo dough with wild mushroom ductile, prosciutto and port wine sauce. 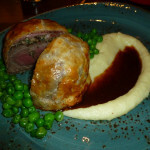 It’s rare that you find a restaurant serving beef wellington anymore, so whenever I get the chance, I always order it. 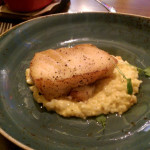 This one was second to none, and given how many I saw being served that night, it looks to be their most popular dish. My wife couldn’t decide between a few of the Classic Ramsay dishes, ultimately going with the Pan Roasted Sea Bass at the behest of our waitress. WOW! 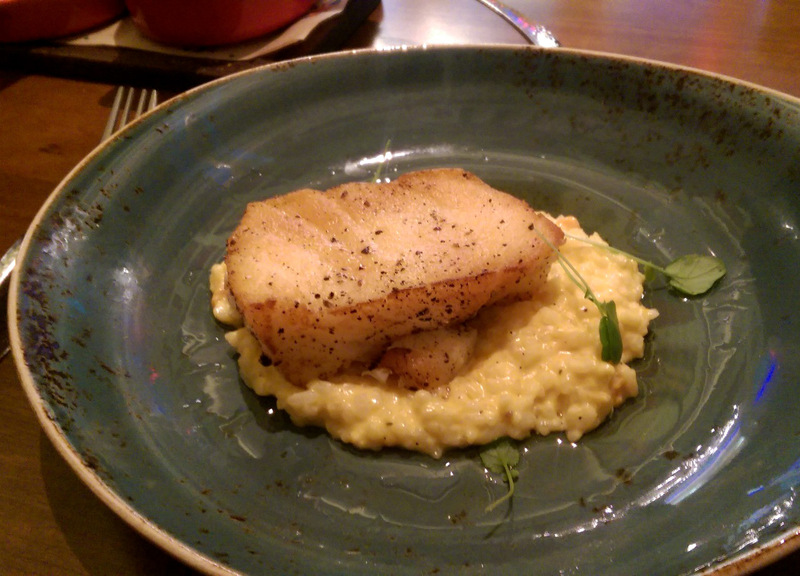 This might have been the best sea bass I’ve ever had, served on a bed of butternut squash risotto with maple-sage brown butter. 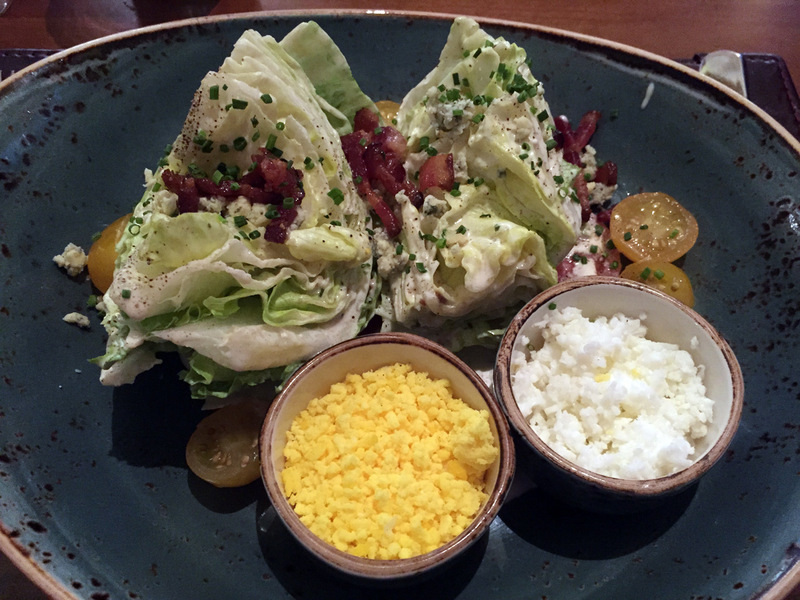 She liked it so much that she is already planning on coming back for her birthday, just so she can get this dish! For a side, we ordered the Lobster Mac N’ Cheese, which was unbelievably rich and decadent. Sweet Maine lobster, English cheddar, and herb crumbs make this the most amazing mac & cheese you’ll ever bite into. At $23, it’s by far the priciest side on the menu, but they give you a HUGE portion, so if you have a party of 4-5 you can easily share this. When our waitress came over to take our dessert order, I was FULL. 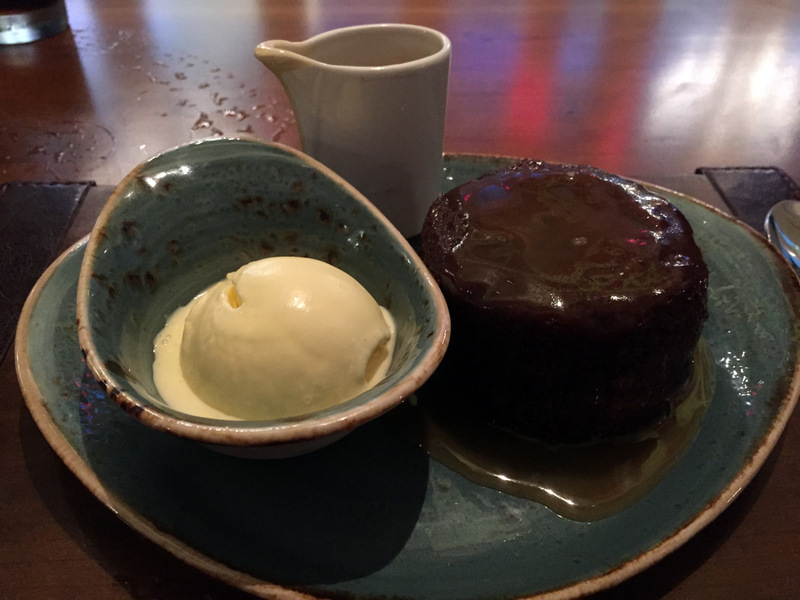 But given how much I’d heard about the Sticky Toffee Pudding (which is apparently Gordon Ramsay’s mother’s recipe), I had to push through the pain and give it a shot. 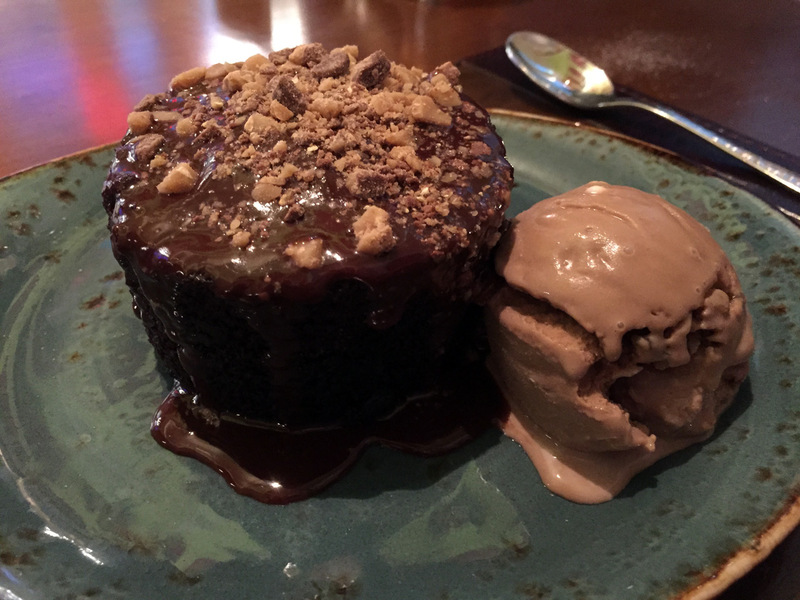 My wife ordered the Warm Chocolate Sponge, which comes with a side of Rocky Road ice cream. Both desserts were really good, you can’t go wrong either way. It was a great way to end the meal. 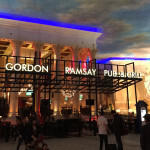 All in all, we had an amazing experience at Gordon Ramsay Pub & Grill Atlantic City, and I highly recommend making a reservation here so that you can experience his food for yourself. You won’t be disappointed! 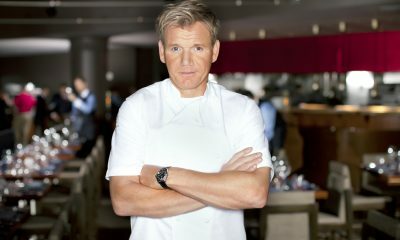 Please visit https://www.caesars.com/gordon-ramsay-pub-grill for more information and to make reservations. I highly recommomend going back there for dinner ASAP! Great review and good to see you enjoyed it as much as I did.